It’s Thursday again, wow these weeks have been flying by. My recipe for this Throwback Thursday really brings me back. This was one of the first “unique” recipes I learned and one of the ones that really got me excited about cooking. I am excited to share it with you, since it kind of hit a soft spot in me (I know cheesy, but it is what it is). Heat a nonstick skillet over medium-high heat. 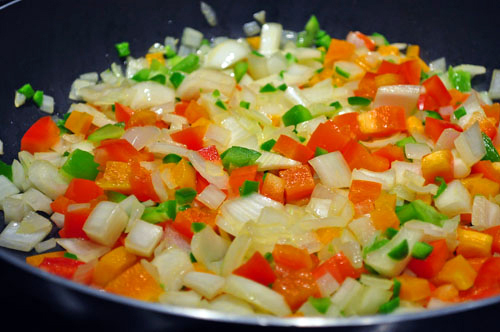 Sauté the peppers and onions until a little soft (about 5 minutes). 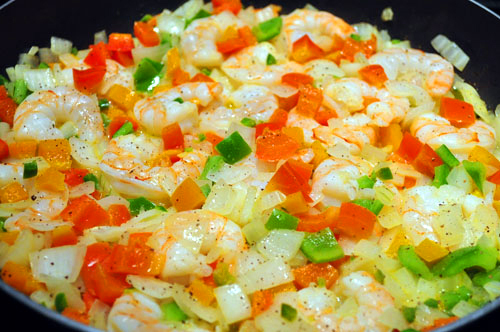 Add the shrimp (and coconut milk, if using) and continue to sauté until cooked (about 2 minutes). Add the pepper, salt, garlic powder and butter, then cook for 1 additional minute. 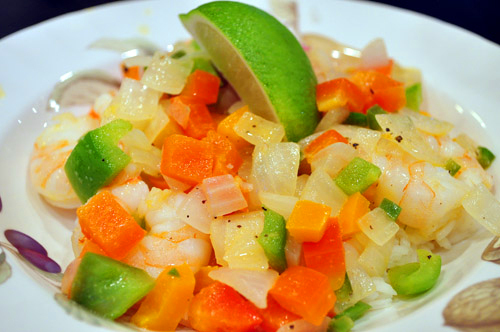 Spoon the shrimp and peppers over cooked rice, then squeeze lime juice over the top to serve. Really nice. As time gets warmer will be nice to be included in my menu. What a vibrant dish! I just love all the zesty and fresh flavours you’ve combined. Perfect dish to welcome spring. Gorgeous recipe. So colorful and delicious. Thanks for sharing. This looks really tasty. I love shrimp and peppers. This dinner looks so colorful and delicious! Such a fresh sounding recipe! Looks simple and delicious! I love coconut milk so I would totally add it! I bet it’s nice and creamy- perfect sauce to mop up with rice! Totally reminds me of summer! Love the lime. This looks delicious! Love the addition of the lime and coconut milk too. Yum! 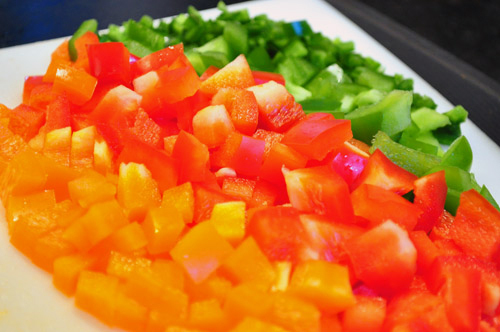 what amazing colors – this looks so simple and tasty! Wow, how beautiful! I love all those colors and flavors…looks delish! Look at this dish, it looks great! I love a shrimp skillet dish. Sadly, the BF does dont. Would chicken work well in here as well with the shrimp? I love all of the wonderful colors in this dish, and the flavor sounds amazing! Wow, that’s one bright dish of vegetables. The ingredients sound so fresh and summery. A great way for us to get ready for the season coming up (especially when we can’t take a trip to the Caribbean! ).